The aim of this trip was to get the knowledge needed to study about higher-order brain function from the viewpoint of the course of evolution; from a diffuse nervous system to a concentrated nervous system; from Hydra to the primates. First, I visited to Thomas Holstein's laboratory in the Department of Molecular Evolution and Genomics in Heidelberg Institute of Zoology. 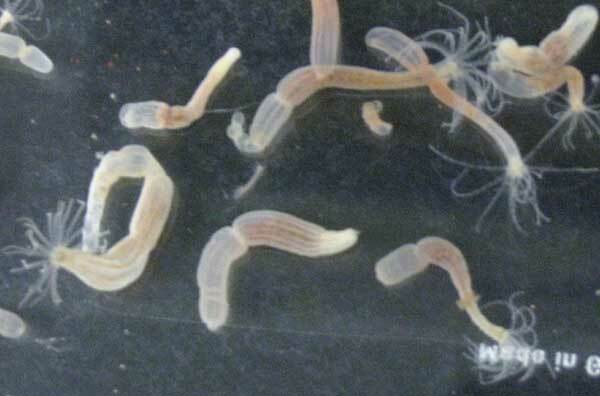 I saw Hydra magnipapillata and Nematostella vectensis and was given a lecture about their behavior and neurons. 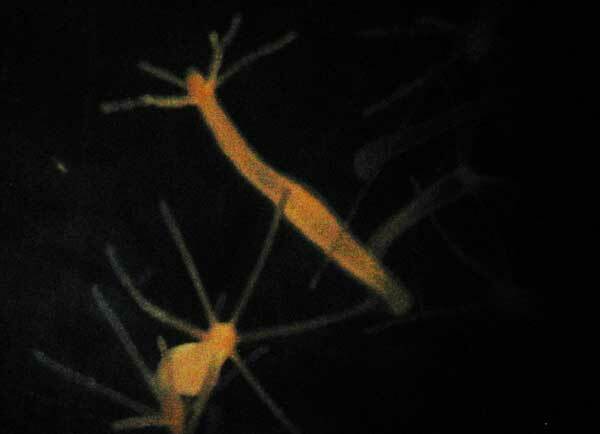 Hydra magnipapillata has only diffuse neurons; Nematostella vectensis has neurons concentrated around its mouth, which are thought to be related to the evolutionary origin of the brain. 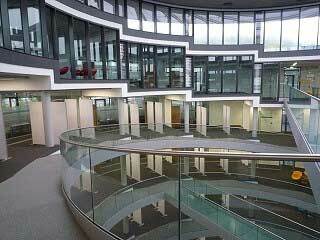 Second, I visited to Detlev Arendt's laboratory in EMBL (European Molecular Biology Laboratory) Heidelberg and learn about Platynereis dumerilii in EMBL Heidelberg. 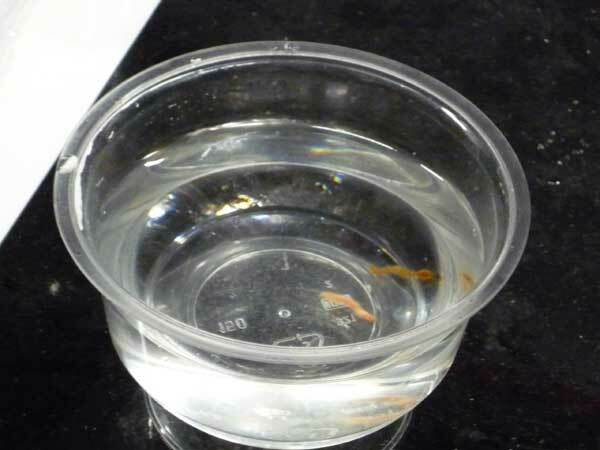 As in Heidelberg University, I was given a lecture and saw Platynereis dumerilii. I was impressed especially to see Platynereis dumerilii's sexual behavior -- Females and males go around each other, and studying this might tell us about the relationship between the evolution of the neural system and the evolution of behaviors. Platynereis dumerilii has a well organized brain rather than the lower animals, which enables them to have such sexual behavior. Last, I attended the EMBO conference and looked at posters about Hydra magnipapillata's neurons and listen ed to the presentations about zebrafish and newts brain and behavior. Also I got acquainted and discussed with many researchers from around the world. Through this trip, I got much knowledge needed for studying higher-order brain function from the viewpoint of the course of evolution. As a result, I came to think that understanding where a certain region or neurons of a brain correspond to in other animals is a powerful method of research on the brain and its function.